Part 1 of this two-part series on the state of the Canadian housing market focused on factors that have helped fuel dramatic increases in the value of Canadian real estate over the past four decades. We also looked at factors which have in more recent years contributed to the rapid rise in Canadian household indebtedness, which is now comparable to levels experienced in the U.S. before it suffered its own housing crisis a little over ten years ago. 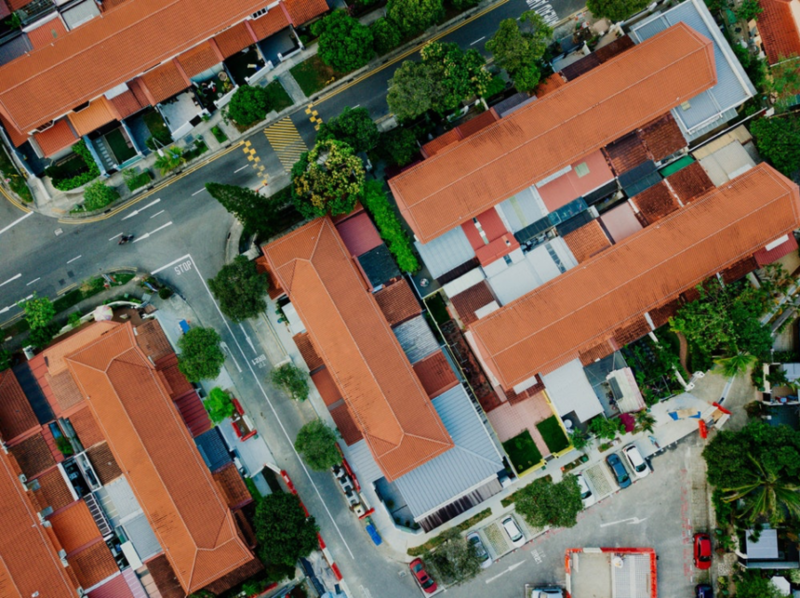 In the second post of this two-part series, we shift our focus to some of the key differences to be considered when comparing the Canadian and U.S. housing markets. For example, the key differences in the constitution of each country’s financial sector and the role of government intervention. How these differences factor into determining whether Canada’s housing market is indeed on the verge of meeting a similar fate of that which befell the U.S. and led to the 2008-09 financial crisis. Perhaps there is no better place to start this discussion than with the incentives that U.S. policy makers have put in place to encourage home ownership in the United States. The most notable of which is the allowance for U.S. home owners to deduct the interest they carry on their primary residences against their taxable income. Not only does this policy encourage home ownership versus renting a primary residence, but it also incentives borrowers to assume larger mortgages than they otherwise would, and in doing so incur more debt. In Canada, mortgage interest is not a tax-deductible expense and policy makers have adopted a neutral stance with respect to home ownership versus rental properties. Another factor that contributed to the U.S. housing crisis was the use of non-recourse mortgages. Basically, if the value of a homeowner’s property was “under water” (meaning the mortgage was larger than the property was worth) a non-recourse mortgage allowed the homeowner to walk away from that property without consequences against the borrower’s other assets. Alberta is the only province which allows non-recourse mortgages in Canada. For residents of all other provinces and territories, if a homeowner is no longer able or willing to make the payments on his or her property, the lender can make a claim against other assets that has their name attached to it, including secondary properties, personal automobiles and even assets in their investment portfolios. It’s easy to see how financial incentives designed to encourage home ownership in the United States would have bid up the value of real estate properties, all else being equal. Aside from government policies that encourage home ownership, it’s also worth considering the difference between the Canadian and American financial systems. Most readers will likely know that Canada’s financial system has traditionally been dominated by the “Big 5” Canadian banks. In the U.S. meanwhile it’s a much different story. The market consists of hundreds if not thousands of smaller regional and community banks each vying for a share of the proverbial lending pie. And the nature of highly fragmented markets like that of the U.S. financial sector is that they tend to foster an environment of intense rivalry among the competing firms. When firms are aggressively competing for market share, it’s not uncommon for the weaker firms in an industry (in this case, the smaller regional and community banks) to resort to more desperate strategies in order to gain and retain clients. While those efforts may in some cases prove viable over the short term, they can also carry consequences that threaten the long-term viability of an entire industry. In contrast, the Canadian market regulators have adopted a much more proactive approach in trying to reign in potentially destructive industry competition. For example, in recent years Canadian regulators have introduced legislation that has included shortening the length of time over which a mortgage can be amortized, tightening rules around family members sponsoring the mortgage applications of relatives, as well as introduced stress testing that attempts to model the borrowers ability to repay their loan in a rising interest rate environment. These policies were put in place to prevent – or at the very least minimize – the fallout from a potential worst-case scenario. For one, Canada is home to a sound and efficient legal system that actively supports the rights of property owners. Plus, Canadian homeowners get the benefit of transacting in a market that ranks among the highest globally in terms of fairness, openness and transparency. Not to mention that Canada lays claim to one of the world’s more generous immigration policies and one that has been specifically designed to support a sustainable pace of population growth. On the global scale, the cost of home ownership in Canada’s largest cities like Toronto, Montreal and Vancouver, remains well below that of international peers like Sydney, London and Hong Kong. Is there a chance that the latest run-up in housing prices might encourage some first-time buyers to wait on the sidelines a little longer? A scenario which, in combination with a rising interest rate environment, could lead to a downturn in the market in terms of sales volumes and real estate values? Something like that certainly wouldn’t be beyond the realm of possibilities. Such a correction is not something that would require much of a response on the part of the average Canadian, provided that they haven’t been guilty of overextending their personal finances in an effort to take advantage of historically low borrowing costs.